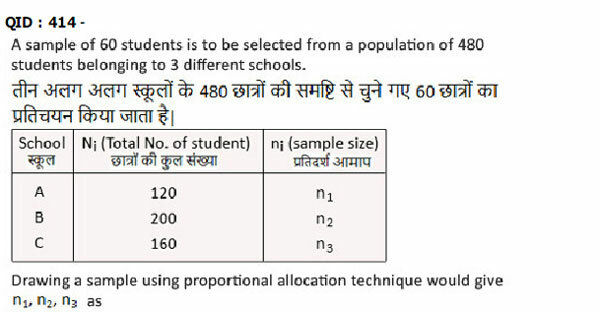 Correct Answer: judgement/ purposive sampling. QID : 411 ­ Suppose a person would earn Rs. 10,000 in base period. 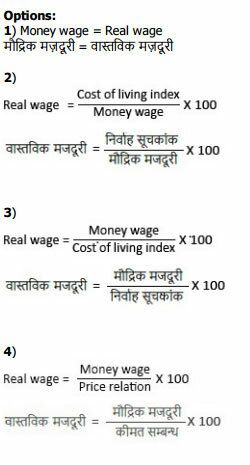 Suppose the cost of living index increases by 20over base period. Then the employers of that person increase his salary by Rs. 1500. 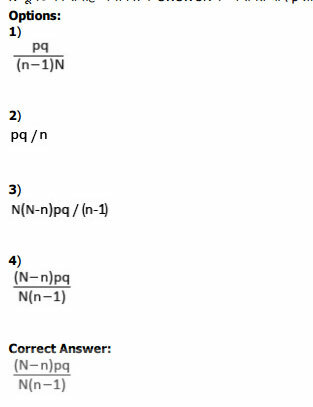 Which of the following option is TRUE? 2) He should claim Rs 500/­ as Dearness Allowance. Correct Answer: He should claim Rs 500/­ as Dearness Allowance. 2) CLI remains unchanged if all the group indices increase by a constant amount. 3) CLI helps determining Purchasing Power of Money. 4) Dearness Allowance is fixed by considering CLI. Correct Answer: CLI remains unchanged if all the group indices increase by a constant amount.